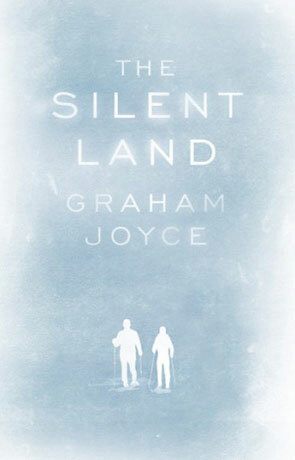 The Silent Land concerns the story of Jake and Zoe who find themselves cut off from civilisation after being trapped in an Avalanche while on a skiing holiday. Managing to claw and wriggle her way out of her snowbound tomb Zoe finds Jake has miraculously survived. On return to their hotel they find themselves the only people there and further exploration seems to indicate that they are trapped in the picturesque village of Saint Bernard en Haut (located in the French Pyrenees), a village that also appears to be completely devoid of any life. No one answers their telephone calls while the TV and radio show nothing but white noise, it's as if the whole world disappeared in their absence. The book is written in a very mainstream, literary style which should appeal to all readers even if they are not fans of the fantasy genre. It's an interesting tale in an easy reading style with bags of atmosphere and a nice eerie feeling without it becoming over the top scary. The story itself is entertaining but does feel somewhat like an expanded short story and has a fairly relaxed, sedate pace. There is however little wasted space and each little event moves the story forward in an effortless manner, although the actual plot itself is somewhat predictable and has been done before. The quality of the writing however is excellent and the characters are very well portrayed - a quirky, happily(ish) married couple who find themselves in an extraordinary situation and it's these elements that really set the book apart. I loved how the author manages to inject this couple with a vibrant and energetic life without going over the top, seeing how they react to their situation is the mainstay of the novel. You get a great sense of just how these two mean to each other and the interplay is spot on which can move even a world weary grouch to feel for these two otherwise everyday people. This theme of marriage, love and commitment is also joined with that of death, loss and the indelible power of the human spirit - how we manage to carry on despite adversity. It's a subtle message but one that resonates with power and the ending leaves you feeling reflective and thoughtful - providing a lasting impression. The short length of the book doesn't do the story as much justice as it could have but strangely this understated style does somehow work better than I thought it would. I must admit that I became pretty enamored with this subtle yet crystal clear voice, the prose really is effortlessly described and the short length actually helps to focus the story while the characters are so easy to like. The style is so different from my usual read that it has a real sense of freshness about it, a great story full of charm culminating in a rewarding, reflective finale. Written on 2nd December 2011 by Ant.